10. Autographs – At PNWA authors can buy a table in the “bookstore” to sell their books. There is an autograph party where you can meet the authors and ask them to sign their books. The week before the conference, a member of my critique group gave me a copy of Writing the Breakout Novel: Insider Advice for Taking Your Fiction to the Next Level by Donald Maass . He didn’t know Mr. Maass would be at the conference, he just gave me the book out of the blue. I took it with me and was happy to see Donald Maass signing at the autograph party. 9. The speaker – This year’s speaker was R. L. Stine . His speech was funny and informative. He started off by reading letters he had received from children and followed up with some great advice. He said to always say yes to everything. He probably meant within reason, but I’ll leave that up to you. After his speech, he did a book signing. My friend Stevie was so excited to get her childhood Goosebumps book signed. It was a choose your own adventure about a mummy. I didn’t know he had done choose your own adventures. Mr. Stine was very kind and let people come behind the table for pictures. 8. Author panel – During one of the desserts, Robert Dugoni lead a hotseat style question and answer session with Donald Maass, Julia Quinn, Cat Rambo, and Christopher Vogler. They talked about how they got started and their careers. Mr. Dugoni did a great job of keeping it fun and lively. 7. Pitch fest pitch practice – This is a great opportunity at the beginning of the conference to meet other writers and hear about the stories they’ve written. Each round table has a coach to give feedback on your pitch, so it will be ready when you get your chance with the agents and editors. 6. Question and Answer sessions in your genre – This is a great opportunity to hear agents and authors talk about working in your genre. I volunteered to moderate the literary fiction section. The three agents who were looking for literary fiction talked about how they find and work with their authors, their favorite recent titles and gave great insider information about the literary journals they read when looking for new talent. Hint: Start reading Tin House. 5. Classes – One of the reasons writers really like the PNWA conference is that it focuses on the craft of writing. There are many great sessions to choose from. I got a lot out of “A Novel in Four Drafts” presented by Lindsay Schopfer and “Words Matter. Writing the Literary Novel” with Robert Dugoni . 4. The agent and editor panels – This is a very important part of the conference. Finding the agents and editors most interested in stories like yours will help you make a successful pitch. It’s important to research the agents and editors before going to the conference, but even when you’ve done your homework, hearing the agents talk about what they’re looking for specifically gives you a much clearer picture if they will be a good fit for your work. 3. Pitching to agents and editors – Here’s the actual professional work of going to the conference, pitching your novel. If your manuscript is complete and polished, or you will have it polished by next year’s conference, I recommend buying the early-bird tickets as soon as they become available. The ticket is less expensive and comes with two pitch blocks. I think it’s important to have two pitch blocks because there is less pressure and if things do not go well in the first block, you can adjust your pitch and try again. Make sure your pitch is about 90 seconds long so there is time for questions. Include a quick description of your main character, the inciting incident and the crisis of your story, but don’t give away the ending. And the most important reason to go to a writers conference is . . .
1. Relationships with fellow authors – I have met some amazing people at PNWA. Meeting other writers online is nice, but it is not the same as meeting in person. There’s just no substitute. Make sure to make business cards that not only express something about your novel, but also show your personality. Make sure to include all of your online platform information and hand those cards out to everyone who will take one. Be open and have fun meeting everyone. The joy of going to a writers conference is the concentrated evidence that everyone has a unique story to tell. It’s amazing. Getting excited? A good place to start is heading over to pnwa.org and becoming a member. Not in the pacific northwest? That’s okay. You can attend the meetings online and the conference is open to everyone. If you would like to find a conference closer to your hometown, I created a map of US conferences to get you started in your search. Remember to support your local authors. Create visuals like this at canva.com. It’s quick and easy. Twitter did not appeal to me at first (or second or third). So why, you ask, would I write this post? Recently, I find myself enjoying it more and more. There are lots of fun challenges for writers and the character limitation ends up being a great revision tool. Like waves take sand, the thief moves one’s dream to another. The imbalance erodes, soon sending standing form to fall. Finished revision and ready to pitch? The third line of hashtags in my picture is for you. Writing a pitch for your book that will fit in a tweet is great practice for creating your logline. When you’re ready to start querying agents, or are working on a new story idea #MSWL is great! Agents list stories they are looking for. This can quickly narrow your agent list to agents looking for your work. These are only a few ways that I find Twitter helpful to my #writingprocess. There are many more hashtags to explore and create. Have fun! For more hashtag suggestions L.M. Pierce has a great list. 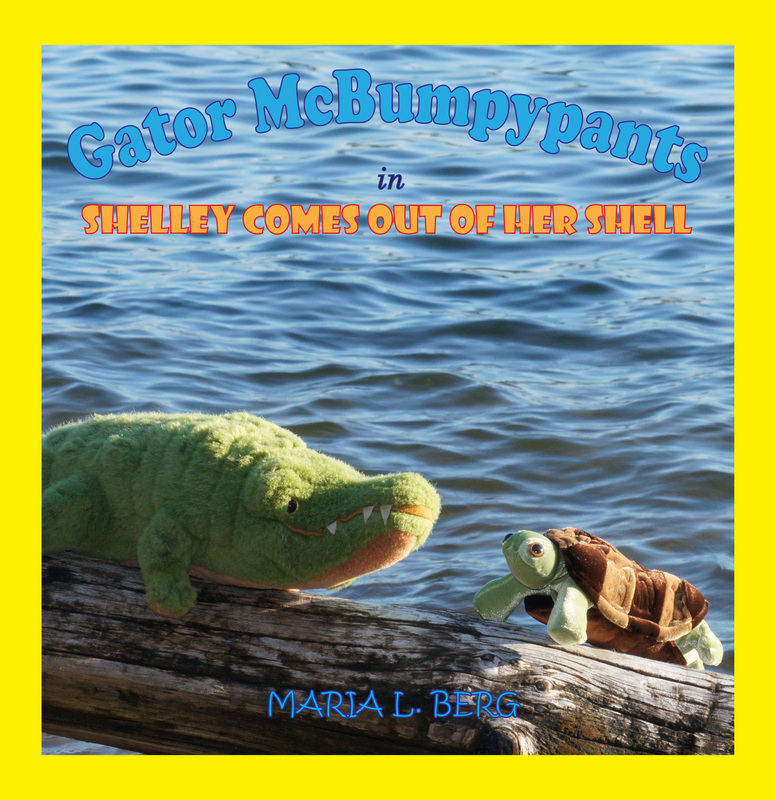 Don’t forget to enter the Gator McBumpypants Contest that ends on Friday and come back Thursday for a guest post from author Michael Onofrey. If you would like me to add your favorite writers conference to the map, please let me know. I wanted this map, it didn’t exist, so I made it. It took a little extra time, but I created what I wanted and there is a lot of information there. Enjoy (and site me). Last post, I went into detail about some of my favorite aspects of The Pacific Northwest Writer’s Association Conference. Now, I want to speak more generally to what you can get out of going to a writer’s conference. The main point being dive in and buy your ticket as soon as you can. Was going to PNWA16 worth the time, money and stress? Absolutely. Meeting other writers – Everyone is at the conference for different reasons, but they all have one thing in common, they write. Many writers spend the majority of their time alone and avoiding social situations. Spending time with others might be in critique, or in fear of critique, so the idea of a conference feels like throwing oneself to the slaughter. Okay, I’m talking about me. I almost didn’t go. I imagined myself hiding somewhere. If I hadn’t made myself responsible by volunteering, I most likely would have excused myself and psycho-somaticly died of the plague. The moment I walked in, however, I didn’t feel a moment of nervousness. Not a moment of disrespect or why is she so weird or they are talking about me or why does she have that look on her face. I felt accepted, wanted, interested and interesting and it was AWESOME. I did what I needed to do and it turned out that I was good at moderating sessions. I made others feel strong and good about themselves. That is a great feeling. Many of the sessions at writer’s conferences are about creating your writers platform on social media. 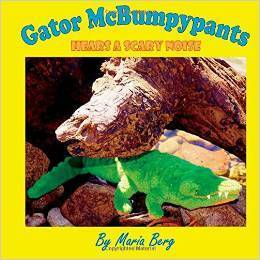 I had done everything I could for my Gator McBumpypants books, but I had one true fan for my efforts (totally worth it) and it was the daughter of a person in my writer’s social group, not anyone from my social media efforts. Social media is way more fun when there are real people you met and care about to read your messages. Who knew that a romance writer might be my best twitter friend and the Seattle Library Summer Bingo would turn summer reading into crazy discussion? Suddenly I want to be there when before it was a terrible chore. Also, it is a great way to meet people who will look at your work before you send it out and let you help them with their work which is a wonderful honor. This was definitely the most stressful part of the conference AND the reason I was there. I thought it was the only reason to go to a conference and had prepared for my pitch for over six months. I was surprised to find people that were there and didn’t pitch. Those people have a year up on me. I was prepared. First day, I walked sheepishly into a room that said practice pitching. It was a round-table of people talking to each other, sounding very knowledgeable while waiting for me to get my nerve up. None of them shared their pitches. A wonderful older man joined us and shared his pitch.He had a good story, but it wasn’t a pitch. He was appreciated and given good feedback. I felt ready. I volunteered my pitch. I was given praise. I was not asked much in the way of questions. I was told my pitch was awesome. I thought I was ready. I had prepared correctly. My months of research and all the nice people couldn’t prepare me for my pitch session. I thought, I was told I’ll see four to six agents today, I’ll probably see everyone who’s interested in my work. I want to see these agents first, then I will go through the best on my list. From what I was told, I had the impression I might see everyone I wanted in one session. I got shut down. I felt like I was hit by a truck. Again. If I hadn’t volunteered to moderate sessions which was stressful, I might have given up and crawled under a rock and died. But somehow, the writers sitting in chairs upstairs where I sat down to decide if I could take another second of thinking I am a writer or should just give up completely were so kind and accepting of my little breakdown, it was like all the horror never happened because one had been through worse and one wasn’t ready to try yet. So, you know, you have to get ready for tomorrow. They helped me decide to stay for the evening presentation. By the time dinner was over, I was ready to try again. My point is, I thought I had made all the wrong decisions, but I hadn’t. The first day I found out who wasn’t my match and the next day I was ready for the questions that come after the practiced pitch like : Why did you write this? What happens next? What is special about your protagonist? And the best question I got all conference: So how does it end? I didn’t get to the rest of the wonderful reasons why you should think about going to a writers conference in this post, there is too much to talk about and I have too much reading and writing to do, but I am happy with my info-graphic of possible conferences to think about. Last weekend I attended my first writers conference, The Pacific Northwest Writers Conference in Sea-Tac, Washington. I learned so much at this conference that I decided to write a few posts about it. To start with, enjoy reading about my favorite events at the conference. When I talk about moderating a session I mean, I took the opportunity to volunteer to help as needed and was assigned to moderate some of the session. That means that I got to meet and introduce some of the speakers. It was stressful at first, but went very smoothly thanks to Jennifer Douwes and D.C.C. Mealy. They kindly welcomed me, answered my questions and showed me the ropes. The first night, Robert Dugoni was the featured speaker. I read his book My Sister’s Grave in preparation for the conference and really enjoyed it, so I was excited to hear what he had to say before he even started. His speech was moving (I was shocked to hear he had recently had a stroke) and inspiring (the twists and turns of his writing life). He repeated two main themes. First, “It’s just stuff” which I took to mean, don’t write to obtain things but to write the very best book you can every time. Second “Hello, writing my old friend” which to me said, though life has its twists and turns and roller coaster ups and downs, a love for writing doesn’t go away. The second night there was a sit down dinner with a panel of featured speakers, so I wasn’t sure what to expect. I had read The End Game by Catherine Coulter in preparation, but she wasn’t there. What did happen was Robert Dugoni posed unrehearsed questions to C.C. Humphreys, Steven James, Sheila Roberts and Gerri Russell. Most of the questions were about their writing process and careers. I really enjoyed the variety of personalities and viewpoints. There was a lot of banter and laughing and the vegan entree was even edible. What a night. I was worried about moderating this panel because it was first thing Saturday morning, directly before my pitch block, and I would be introducing four agents and collecting and reading all of the synopses. Luckily, the agents were happy to introduce themselves and were game to pick and read the synopses. Whew! Like at dinner, the variety of personalities and viewpoints made this a great panel. I loved the discussion that arose from each synopsis read and the variety of the examples. It really drove home the point that everyone’s story is different. I’m very glad I volunteered to moderate this panel. Though it took a little while to get the questions rolling, I thought the questions asked spurred a great discussion. Editor Anna Michels (pronounced Michaels) of SourceBooks brought a great perspective from the publishing side to balance the two experienced and interesting thriller authors: Award winner and previous nuclear engineer Mike Lawson (I’m enjoying reading House Secrets) and New York Times bestseller and Jeopardy! champion Boyd Morrison. When I was researching the panel to prepare to introduce them, I was excited to see that Boyd and I have something in common–We both worked for NASA. My uncle got excited when I told him Boyd writes with Clive Cussler. He says he’s a huge Cussler fan. Now he knows he’s a Boyd Morrison fan as well. Royce Buckingham‘s presentation held a very useful message. Not every idea we have is our best idea. Even the most prolific writer can’t write every idea they have. Save yourself time and test your ideas before you throw yourself into writing them. Tell your story ideas to people you think could be your audience/market. He mentioned pitching your story at parties as if they are the latest blockbuster movie you just saw. See which idea people get the most excited about and write that one. He recommends talking to at least 100 people before you get started. Chelly (pronounced Shelly) Wood also had some great, unexpected advice. Her presentation was about how supporting charities you are passionate about can help you network and enhance your author platform. I love this idea and am surprised how eye-opening it was. Her message is that you don’t have to work for the charity, or donate a bunch of money (unless you have a bunch of money to give away), you can show support in other ways. You can promote charities on your website and social media to make others aware. You can volunteer for an event. You can donate (small) percentages of sales, etc. Her further message is building your platform is all about asking what can I do for others. Get creative: Can you promote a local business that is related to something in your book? Can you invite a guest blogger who writes about something interesting in your book, not specifically the craft of writing? Or offer a guest blog for them? I’m going to write more about this next time. Don’t forget to follow this blog and sign up for my monthly newsletter. You know, free fun stuff for you! You have so many links to follow and great writers to read from this post, I think you’ll be plenty busy. If not, below are links to other people who attended and wrote about the conference. Anyone else want to share their conference experiences (any writers conference)? I look forward to hearing from you.